Often I wish to be gifted with paranormal abilities, as in being able to look through walls …. We just arrived in Marrakech in western Morocco. After we jump into a car to make our way through the medina on a warm summer afternoon, I see Marrakech just as I had always imagined it to be: lots of colour, fashion, history, tradition and food. From the backseat of the car I see huge selections of woollen carpets, rows and rows of soft leather slippers, donkey carts full of ripe peaches and cactus figs. And I so wish I would be allowed a peek behind these brown-reddish walls and all these closed doors. We are on our way to AnaYela, a riad tucked away amongst residential homes, shops and repair stores. And in true Moroccan style also here is nothing that reveals what is behind the big wooden door in that narrow alleyway. My stars must have been with me that day. I am invited in to find out. 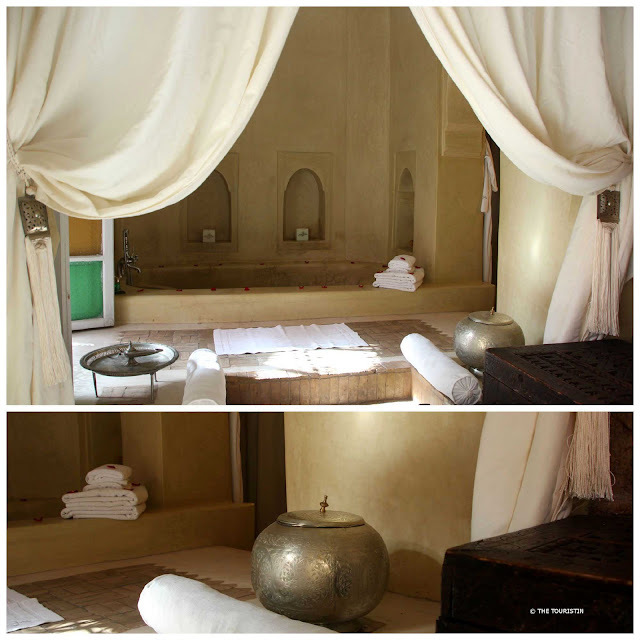 transformed into a three room/two suites culturally sustainable riad in 2008. It is a place where social is attractive, and responsibility pure. Every single piece in here has been built by local craftsmen. The design is truly magnificent and the welcome with fresh dates and cold milk just as grand, but warm as a hot chocolate on a cold winter's night. 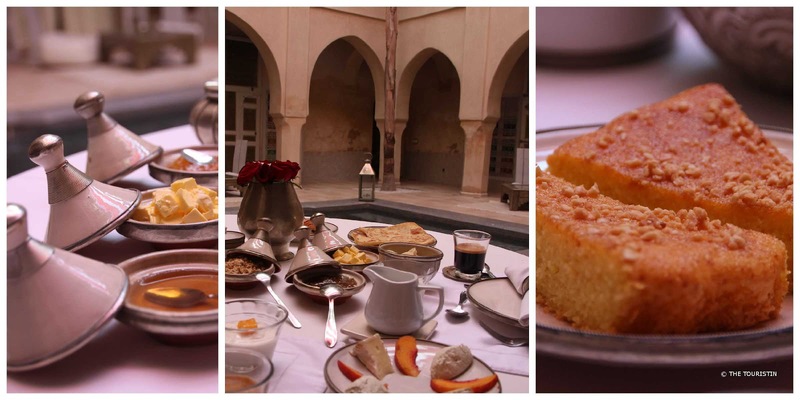 We enjoy these typical Moroccan treats while we sink into the soft seats by the pool. The members of staff are all locals from Marrakech and wear special attire, which underscores the style of the hotel. Our shoes stay at the entrance, and I can’t think of anything that feels more welcoming. Wait, there also is one other thing. You won’t need to lock the door of your suite. The sliding doors that are decorated by a calligrapher with the letters of the tale of the girl the house is named after, simply stays open. Yela, the young girl that lived here centuries ago, left behind a letter that tells her love story, and it was discovered during the restoration works. Leather shoes are provided by AnaYela but I prefer to walk barefoot, the sensation I get from touching the cold and silky stone floor, is that of an extra vacation for my feet. There are red rose petals on the bed and around the rim of the massive bathtub. At night the building of AnaYela is beautifully illuminated. The concept of discrete and indirect lighting is soothing enough, but soaking up the romantic atmosphere while lying in the tub transports me to an even deeper level of relaxation. Trust me lying in the hot water after a 12 hour sightseeing walk through the souks and lanes of the medina equals winning the lottery. It is my fault alone. I simply couldn't stop browsing all these tiny stalls, and had too much fun joking with the shop owners. I actually feel like I touched every single carpet and ate to much of the glorious food. And I had to pet every single cat I met. Reading stories about Scheherazade, Alibaba and the 40 Thieves or The Seven Voyages of Sinbad the Sailor fascinates me. I think of Yela, and I feel like being part of her story. She certainly lived a long time ago but I reckon she must have felt just as fantastic in this palace as I feel now. I climb up the stairs, barefoot, and make my way to the flying carpet on the roof (it is a Bedouin tent), where Yela, according to the re-discovered letter, received her very first kiss. It is a spiritual experience through and through, slowing down, nothing to do but to dream, and to look into the night sky. I imagine Yela to be up there, somewhere, the girl that lives on a star. 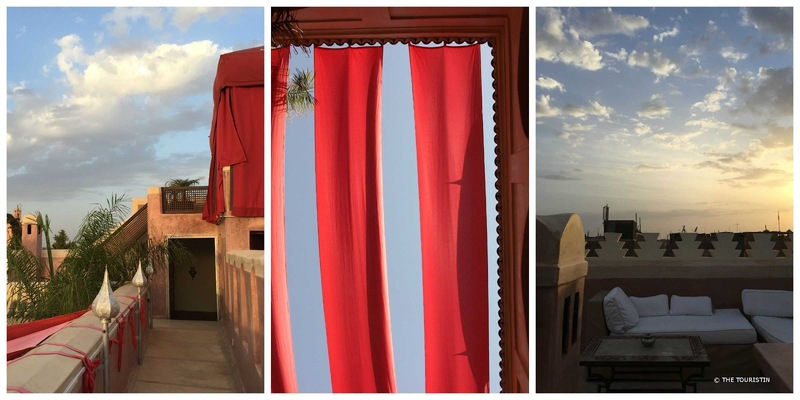 Making sure that the people in the Riad, over whom she keeps guard, will feel wonderful in this place. It is lovely to let my thoughts wander all the way up to the stars. Later that night we wave good night to Yela, climb back down the stairs, and retire to our room to sleep. I wake up to soft light coming in from the blue, yellow and green stained glass windows and to the singing of small birds having a drink from the swimming pool in the inner courtyard. I feel well balanced, calm and refreshed. This bed is so comfy that I wish to be sleeping in it for 1,001 more nights. (There. I had to mention Arabian Nights … again). 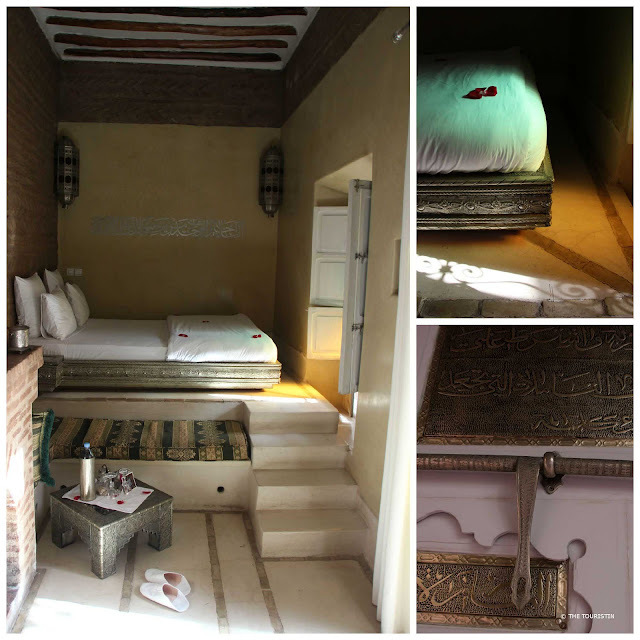 28 Derb Zerwal, Marrakech 40000. 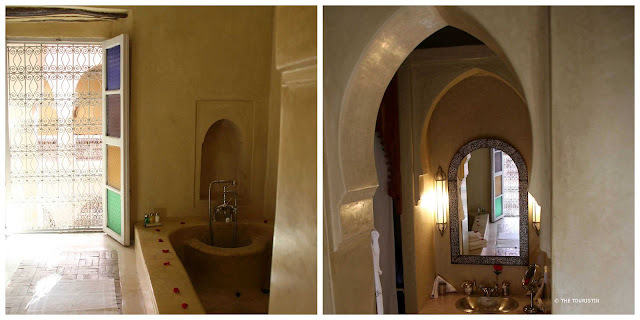 Shuttle service: Yes, and the return transfer to and from Marrakech airport is free. Boutique, romantic, design. It is super stylish without being overwhelming. Romantic getaway, city trip, shopping spree, foodie experience. Yes, and it keeps your suite cool for a good night’s sleep. Yes, and it is excellent for these chilly Marrakech winter nights. Yes, and it is as fast as lightning and password protected. Yes, and it is heated, so it can be used in every weather. Yes, and food is served in the courtyard or on the rooftop. Yes, and at any time of the day. Verdict: Would I stay at AnaYela again in the future? Absolutely. Would I recommend a stay at AnaYela to a friend? Absolutely. I found AnaYela together with Green Pearls Unique Places. They follow the concept of sustainable travel ideas, and offer a selection of eco-friendly hotels worldwide. We stayed at AnaYela at a journalist rate. All late night thoughts on the rooftop or the happiness felt throughout the stay are my own experiences and feelings.